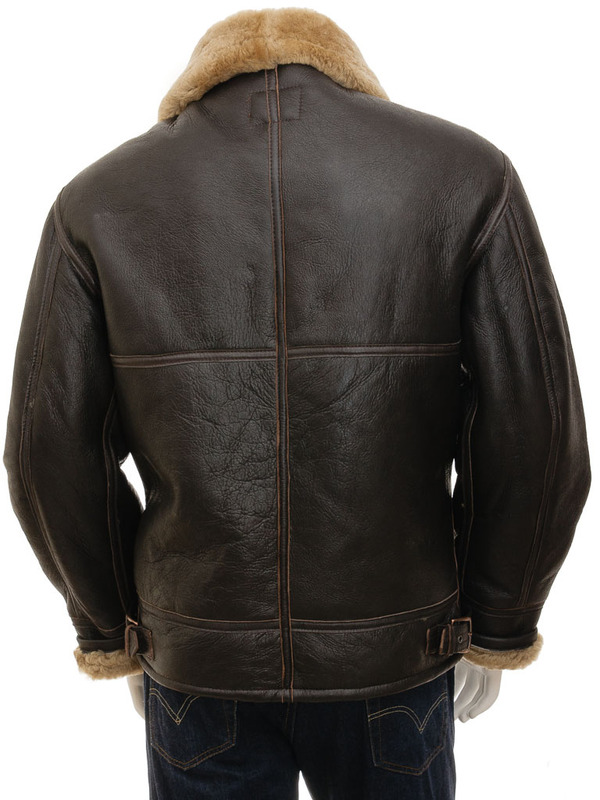 Shearling sheepskin aviator jackets like this are currently enjoying a huge resurgence in popularity. 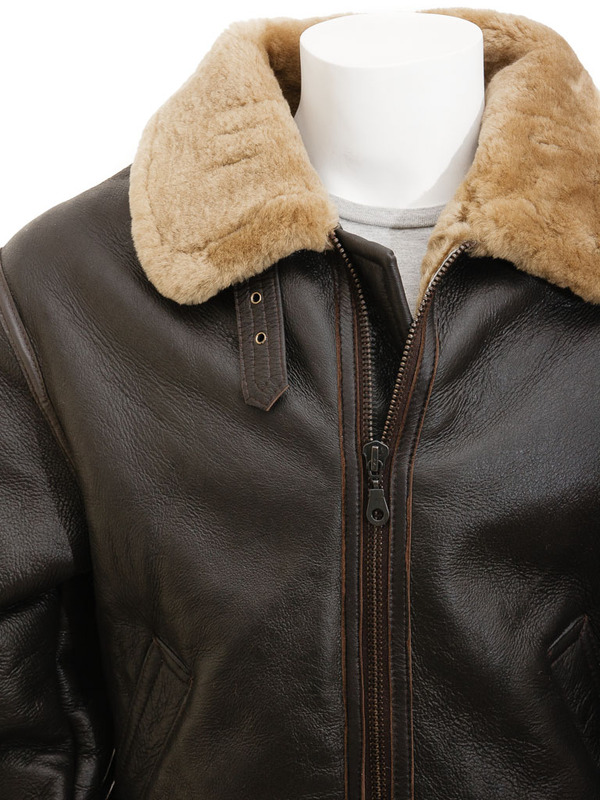 No longer the sole preserve of diehard aviation enthusiasts, the fashion world has woken up to just how great these original flight jackets are. 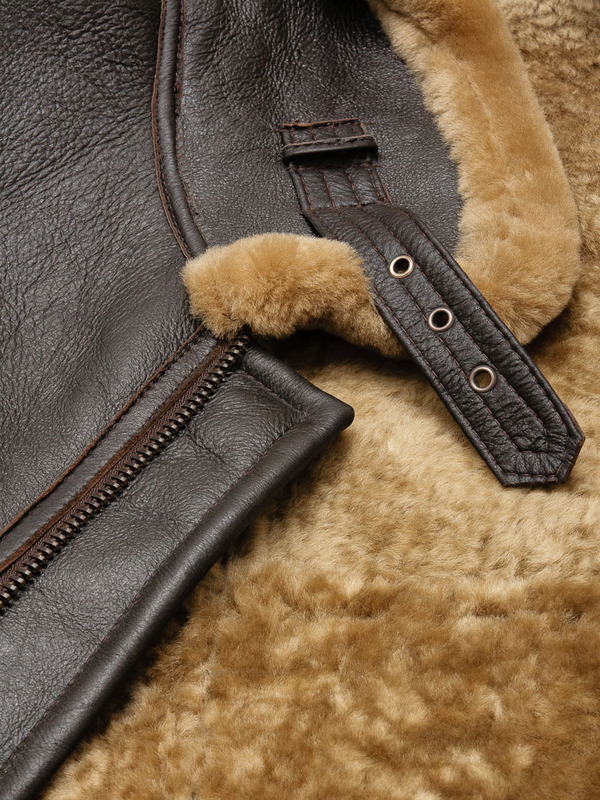 We've used the highest grade sheepskin possible to ensure maximum insulation, water resistance and durability. The zip is heavy duty and all seams are double stitched and leather bound. The vintage styling of this jacket is also, as with many things, the most practical. 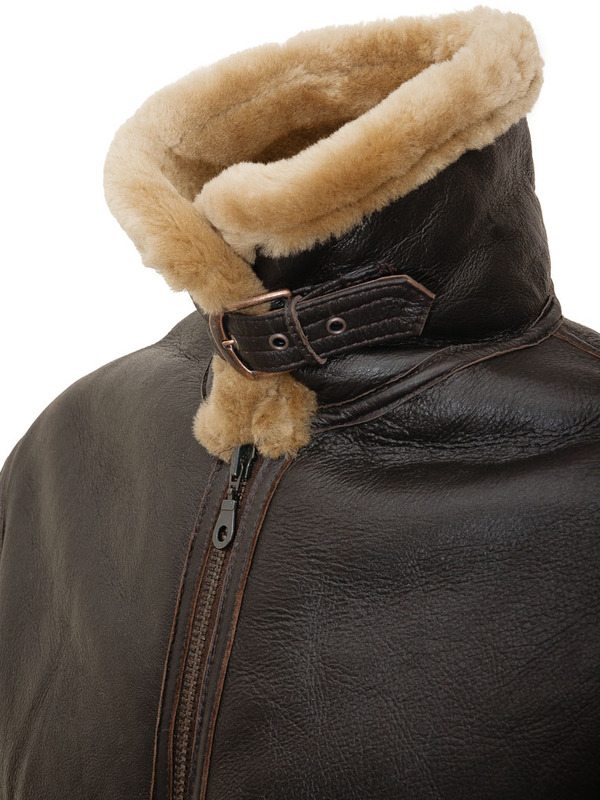 The wide collar can be turned up under the throat and fastened with two buckled straps and the sleeves are extra long so they can be turned back exposing the warm fleece interior which lines the whole jacket. 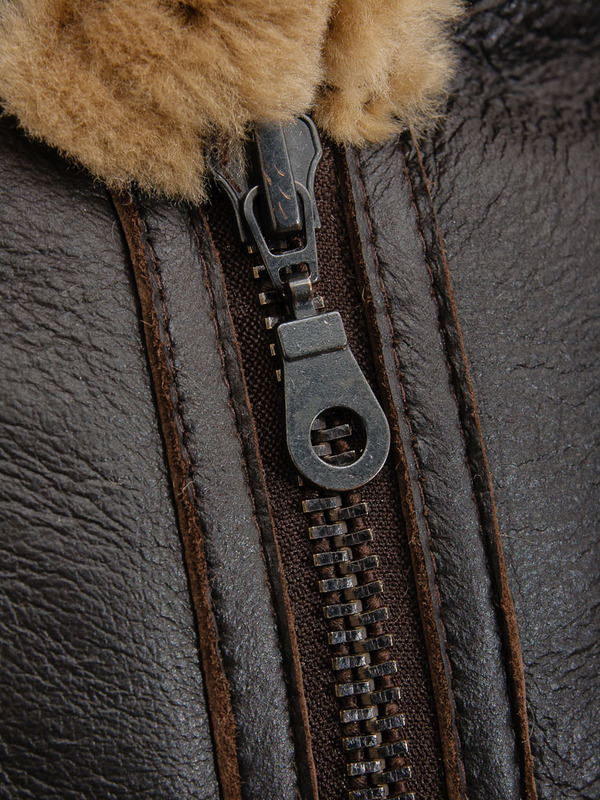 Two welt pockets give you somewhere to stuff your hands on those cold wintry days and the waist can be adjusted using the leather buckled straps on each side seam. 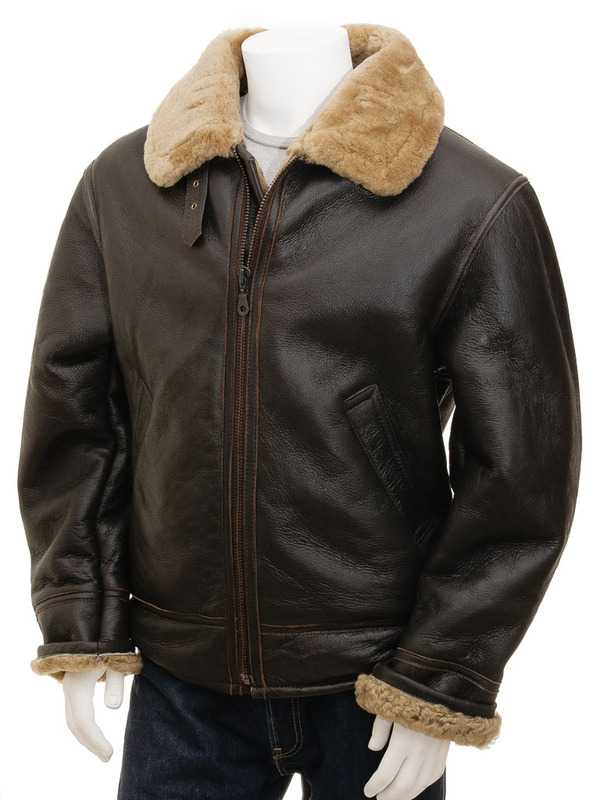 So, if you're looking for a garment that combines the best of british aviation history with contemporary fashion credentials then the classic sheepskin aviator jacket could be your answer.